Crossways Travel operates Fully Escorted Day Excursions, Holidays and Private Group Tours with Luxury Coaches. All our tours are double crewed with an experienced Driver and a Tour Manager who are there to ensure that your trip is special and everything runs perfectly. 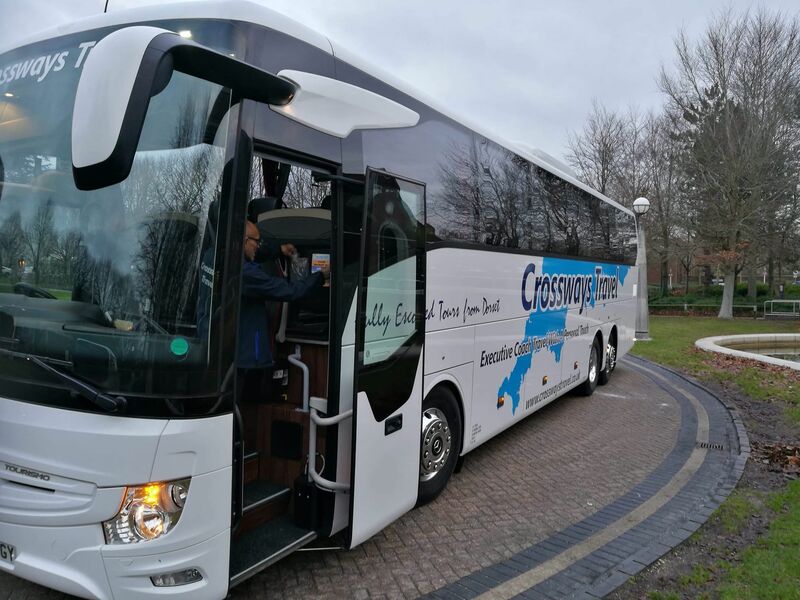 All our coaches offer on board toilet, air conditioning, air cusioned suspension for a smooth ride, usb charging points, reclining seats and are maintaned to the highest possible standards. We also offer a hostess / host service of lights snacks and hot and cold drinks on board all our coaches, even on our day excursions. Pick ups for our tour and varied and include most of Dorset and we also the option of a home pick up if this suits you better. Our company prides ourselves on personnal service and with nearly 10 years of serving the public in Dorset and an ever growing number of clients we believe we offer some of the best personnal tours in the area. We constantly receive excellent comments from our customer about our service, drivers and tour maangers and are very proud of what we have achieved. Why not come and try us out - we promise you will not be disappointed ! Crossways Travel currently holds a Restricted licence. Crossways Travel has not yet received any reviews.